with a mirror on the back. 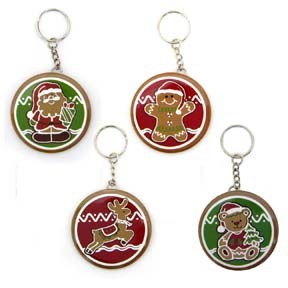 Each one has a 7/8" diameter metal key ring. Unit comes 12 pcs. assorted in a display.